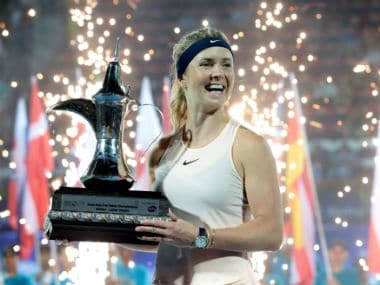 Dubai: Elina Svitolina joined former world number ones Justine Henin and Venus Williams as a back-to-back Dubai title winner on Saturday with a 6-4, 6-0 cruise past Russia's Daria Kasatkina. Svitolina, the world number four, won her 11th career title after a 70-minute rout of Kasatkina. "When they announced our names, they saying that Justine and Venus are the only ones who defended their titles, I was like, 'Okay, c'mon, you have to do this.' It really motivated me," said the Ukrainian. The 20-year-old Kasatkina came into the match after playing for more than nine hours in previous rounds this week, saving five match points over two matches. "I was pleased with how I played here this week," said Svitolina. "I expected the unexpected. "I'm happy with how I handled the pressure, I was very happy with my performance on the court." Svitolina beat Kasatkina for the third time in as many meetings. 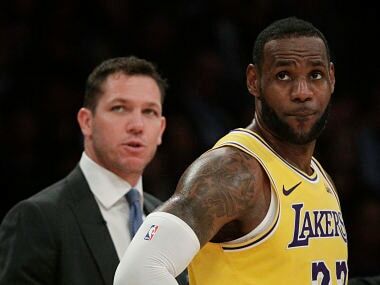 "It feels great, when I had to play well, I played well. I was serving good, returning well, getting lots of balls back," said the champion. "It was a solid performance – maybe not amazing tennis, but I was pretty solid. It was enough." The winner broke in the fifth game of the opening set but was temporarily stalled as Kasatkina saved three set points in the ninth game before Svitolina served out the set a game later. The second set was a mere formality, with Svitolina racing away to the 299th win of her career at all levels of the professional game. "Elina was the toughest opponent for this final," Kasatkina said. "She was playing really good all week. In the final, she showed her best tennis." The Russian admitted her energy reserves ran low after her hectic week on court. "(I feel) only positive things, I spent an amazing 12 hours on the central court. I won four unbelievable matches. "I didn't have enough (energy) for the final, but still it was very nice week." Kasatkina is guaranteed a move to a career-best 20th on Monday.